"If a room is pleasing and restful one of the highest and best results has been attained." History of the Arts & Crafts/Mission Style. The Arts & Crafts Style originated in England in the early 1800’s as a rebellion against Victorian mass production and industrialization. William Morris and John Ruskin were early proponents of this unique style which promoted a more guild based philosophy that emphasized traditional craftsmanship and honesty of design. Various craftsmen and artists encompassed the Arts & Crafts philosophy into their work which included pottery, furniture, soft furnishings, metal work, stained glass, gardening and even architecture. In North America this style was adopted in the Mission Style of furniture and is also referred to as Craftsman Style, American Bungalow Style and California Bungalow Style. The Arts & Crafts Philosophy was adopted by various craftsmen including Greene & Greene, Frank Lloyd Wright, Charles Eastlake, Baillie Scott, Dirk Van Erp, Charles Rennie Mackintosh, Elbert Hubbard and perhaps the most famous of all, Gustav Stickley. Stickley’s famous ‘Craftsman’ brand of products have become highly collectable and desirable, as have many Arts & Crafts Antiques. The Arts & Crafts Style offers clean lines, traditional craftsmanship, natural beauty and timeless design. 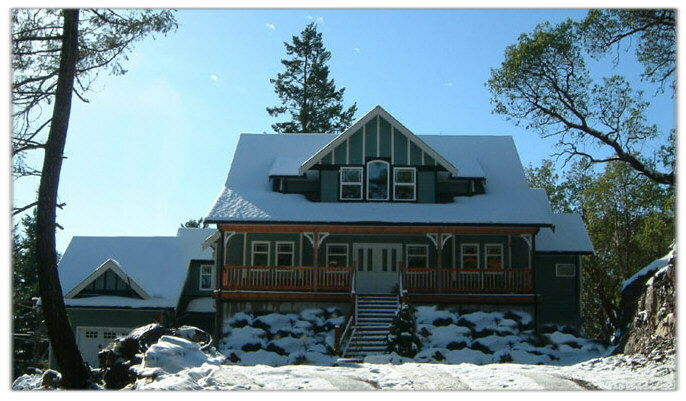 History of the Arts & Crafts Style in Victoria. Victoria has a large number of heritage homes including various beautiful houses that have been influenced by the Arts & Crafts Style/Craftsman Bungalow Style. In the Oak Bay, Rockland and Fairfield area of Victoria, nearly every street has an Arts & Crafts Style/Craftsman Bungalow Style home. Victoria even has its own society, The Craftsman Bungalow Society, dedicated to the Arts & Crafts philosophy and Craftsman Bungalow Style. If you would like to discover more about the history of the Arts & Crafts Style in Victoria please click on the link below. Below are a number of sites that have interesting information related to the Arts & Crafts Style.